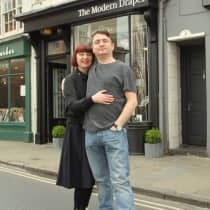 The Modern Draper is a fashion and lifestyle boutique located in Beverley and founded by Chris Terry and partner Lisa. The boutique stocks an extensive range of premium apparel, footwear and accessory brands sourced from around the world. Whilst initially focusing on men’s and unisex products, they plan to introduce womenswear and homewares in the future. Keen to promote a relaxed shopping experience, the pair offer customers a complimentary coffee upon arrival which they source locally.